Former Liverpool captain, Steven Gerrard has backed VAR in the aftermath of last night's penalty controversy, but also joked that it would have been nice if Manchester United had lost to PSG from a Liverpool fan's point of view. Manchester United qualified for the quarter-finals of the Champions League as they overturned a two-goal deficit from the first leg against Paris Saint-Germain. The 3-1 victory ensured the Red Devils' progression on the away goals rule. Romelu Lukaku gave the Red Devils the lead as early as the 2nd minute of the game, which was canceled out by Juan Bernat in the 12th minute. Lukaku reinforced the English club's advantage in the 30th minute before Marcus Rashford completed the historic comeback by converting from the spot in second-half stoppage time. Speaking to journalists (via Sky Sports), Gerrard joked that it would have been nice if Manchester United had lost, but also admitted that VAR made the right decision when it came to awarding United a controversial penalty. "The rules are the rules and we all have to expect that and respect it. The rules are certainly not going to change during a season. It is what it is." "Listening to some of the officials comment on it was very interesting because they say the penalty decision was correct and the referee was correct, but when I saw it initially myself the PSG defender has been very hard done by. "It is very harsh on PSG but if you look at the rules it is the right decision. "That is the reason VAR is so important because without it that gets missed and Manchester United go out of the cup, which would have been nice from a Liverpool fan point of view but it would have been an injustice." 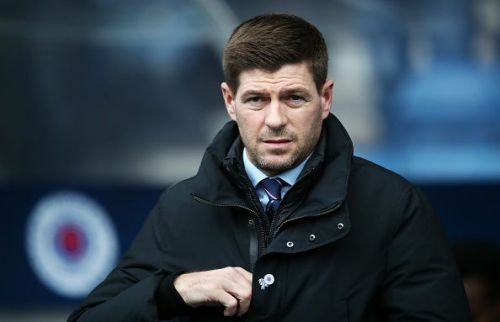 Manchester United will play Arsenal next in the league, whereas Gerrard's Rangers side will take on Hibernian on March 9.